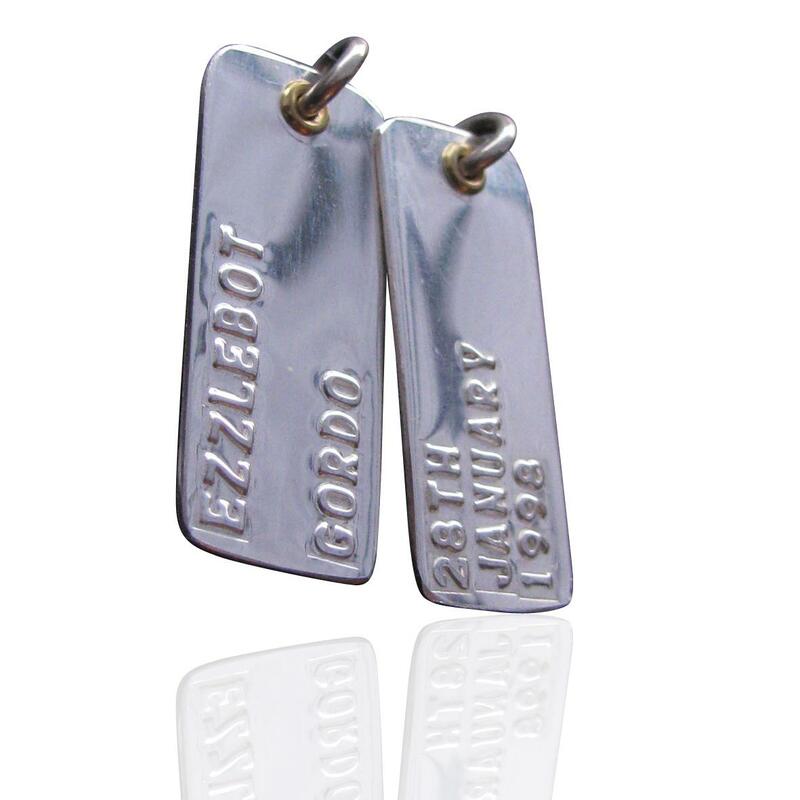 Silver Tags with raised lettering. We can stamp the names of your choice. 3 names are able to be stamped on each tag. It comes with a slim sterling silver ball chain however you can choose a thicker sterling silver ball chain if you like. 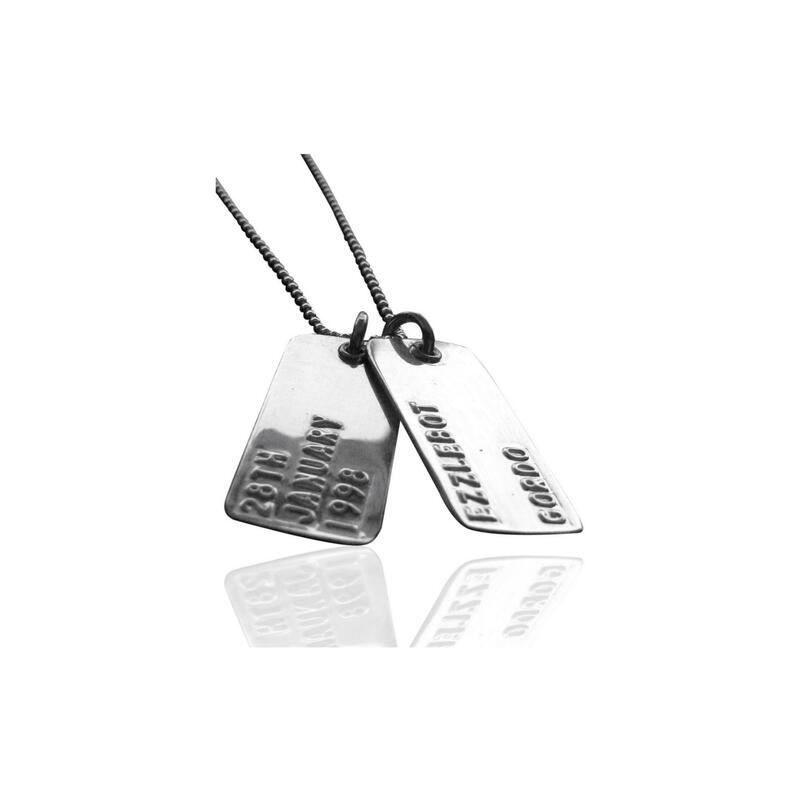 Description: Set of two Dog tags with a twist. Raised lettering sets these tags apart. They are unique to coolabah charms , for now anyway! Dimensions: Each tag is 33mm long and 15mm wide. The tags are not very thick at approx .5mm thick. They are comfy to wear and cool! Maximum of 11-13 characters per line on the tag. Chains : This item comes with a alim 1.5mm ball chain of 65cms. you can upgrade to a 2mm ba;ll chain. If you need this by a certain date please let us know when checking out and we will make every attempt to get it to you by the date your require it by however it cannot be guaranteed. Just wondering can you put numbers on as well as a name ? 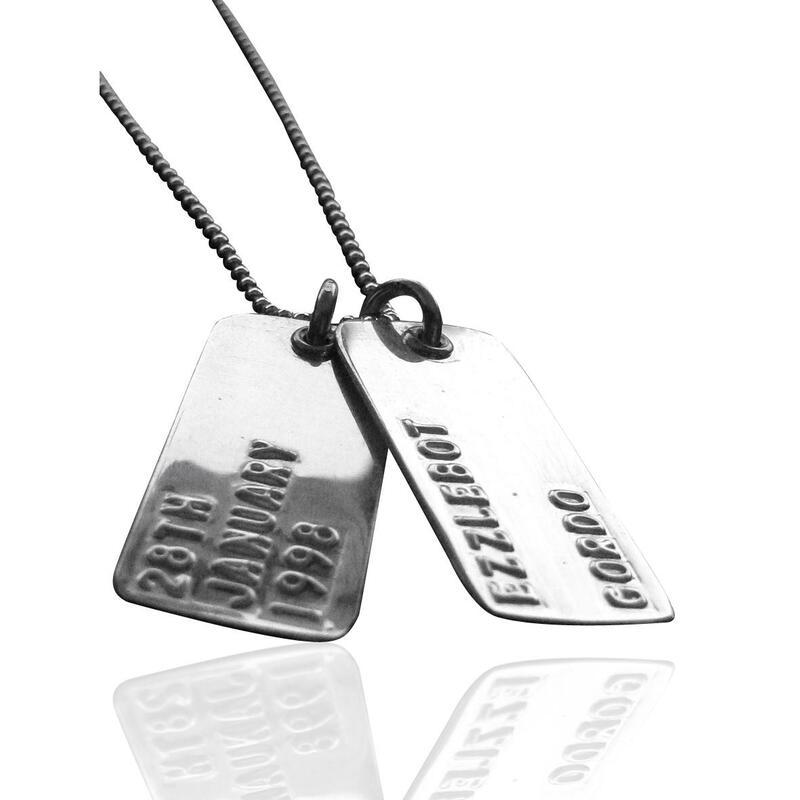 If you purchase the dog tag necklace and you order a additional silver necklace does it come with the other complimentary necklace?